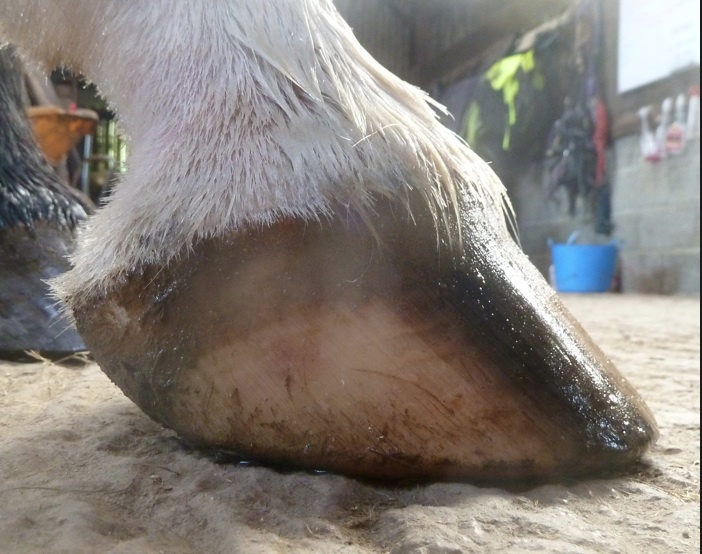 Following the webinar last weekend I've been asked if I can put up some examples of self-maintaining hooves. The problem with doing this is, as we discussed in the webinar, that photos are very deceptive without seeing the horse move. Looking at this photo, someone commented that the toe looked long but in fact the horse has a brilliant landing, heel first and with excellent medio-lateral balance. When you look at a photo of the sole the toe no longer looks long - as always seeing the horse in motion is the important thing. With that in mind, some of the pictures in this blog are stills taken from video. 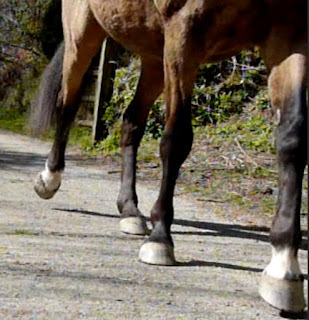 The important thing to remember is that a photo of a pretty, apparently balanced hoof may be a lie - you just can't tell until you see the horse moving whether it is actually sound and moving well. However all the feet in this blog post belong to horses who are sound and have been in work barefoot for many years. Most have not been trimmed since at least 2009, one has never been trimmed. 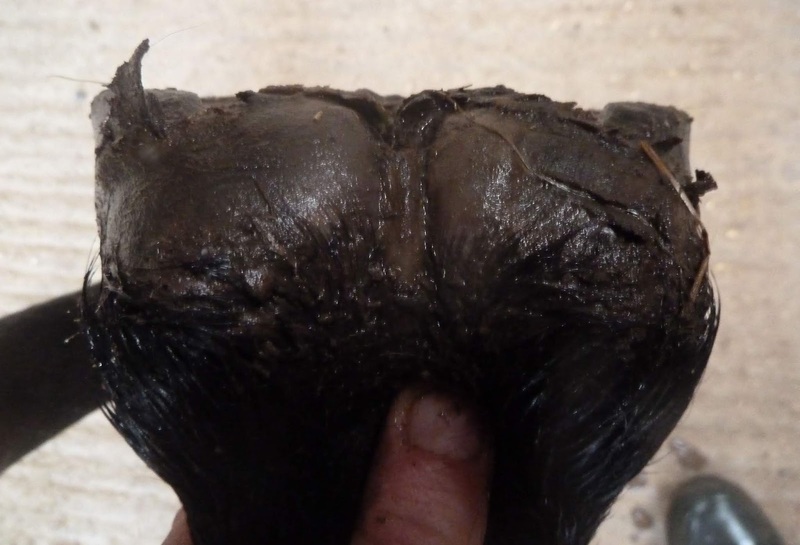 They are in varying levels of work, from light to hard to none at all, but the important factor is that changes to their mileage and workload are made steadily and consistently so that feet can adapt and maintain growth levels to match wear. I hope you find them interesting! If anyone has questions then feel free to post. Hi Julie! You can reach out to PHCP who did the webinar, but I believe it was only recorded and sent to those who paid to attend. It's possible they may make it available to purchase upon request. Hi Nic, I have a question regarding the bars in the second picture. 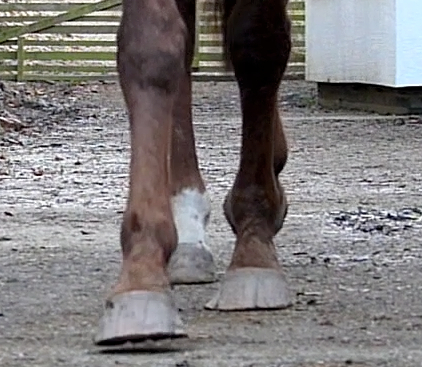 When her shoes were taken off, my mare had very overlaid bars, especially in her hind hooves. This subsided with time, so as for now, the bars of her hind hooves look completely fine. 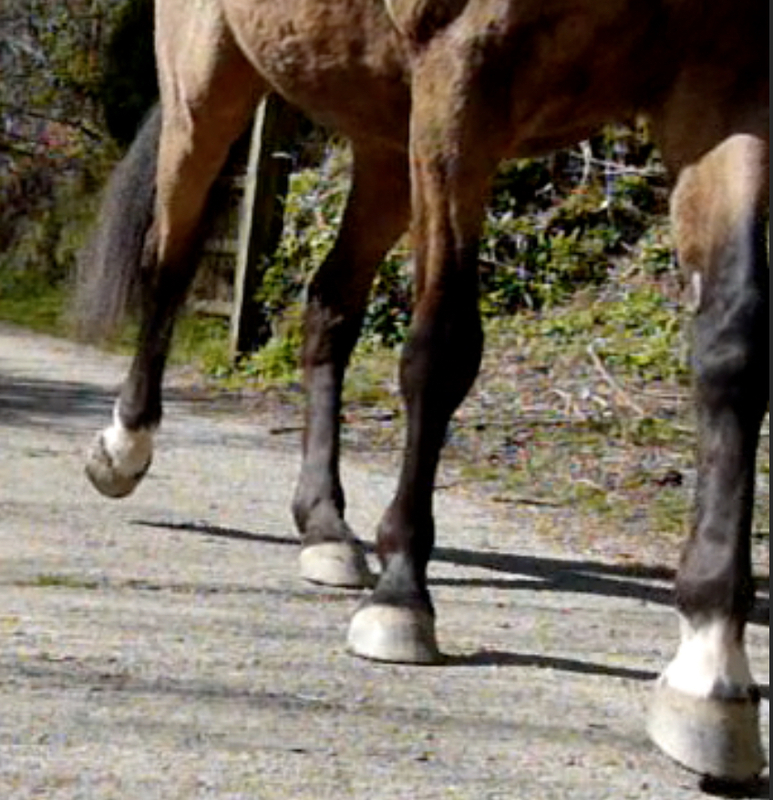 The bars of her front hooves however still (over two years!) tend to overlay the sole. 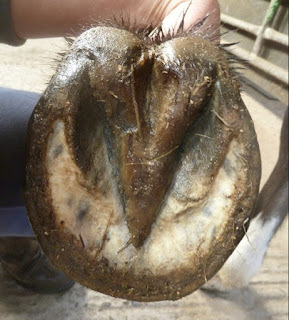 I've been often told that this causes damage to the sole (bruising) as well as to the inner hoof structures (especially the navicular bone. Then, on the other hand, I found articles saying that the bars are actually trying to support/protect the sole, coffin bone and cartilages by "stimulating" them from underneath. I would be very interested to hear your opinion on that. Forthcoming workshops, home and abroad!